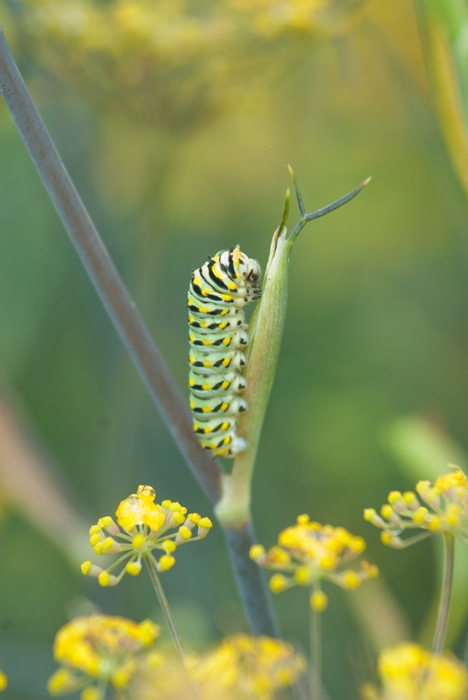 It's not uncommon to find caterpillars of eastern black swallowtail feating upon bronze fennel. 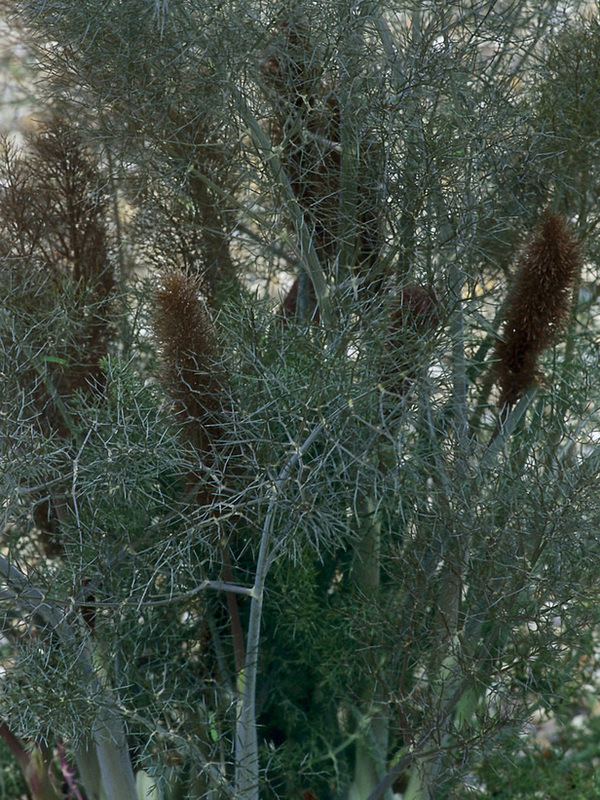 They often find even young plants in their first year of growth to use as host plants. Description: The bright yellow flowers topping wispy dark purple foliage make bronze fennel a striking addition to the landscape. A 4-6 ft. perennial with feathery, fragrant purple-green foliage with small yellow button flowers in late summer. The dark foliage makes it easy to spot the bright caterpillars of easter black swallowtail butterflies as they feed upon the plant. Growing Conditions: Can grow in full sun to part shade in dry soils. 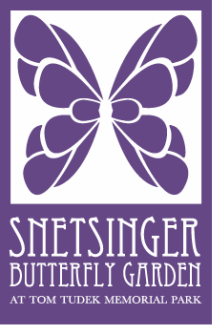 Benefit to pollinators/wildlife: Host for Eastern Black Swallowtail butterflies. Flowers attract many native bees.